I've just picked up a new phone and for the first time used a third party to buy it - Dial-a-phone instead of straight from Vodafone. You know what? I'm never going to get a phone straight from the operator again. Anyway, what they did to get me on board for next time is give me a phone with no branding, no Vodafone Live! no red apostrophe backgrounds and no attempts to get me to buy Beyonce ringtones every time I start the web browser. Sorry Vodafone, you're a utility company. You own mobile phone masts and let me make calls. I don't want Thames Water branding on every drinking glass in my house and I don't want your corporate identity staring at me every time I text somebody. So until mobile phone companies give up on being lifestyle brands, I'm buying an unadulterated factory fresh phone without any crap on it from now on. Oh and the phone? 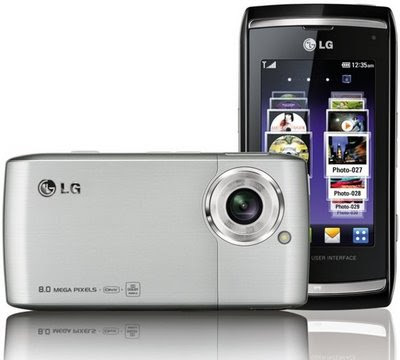 An LG Viewty Smart. Lovely bit of kit - I'd highly recommend it.